How many of you are like me and started your day with a cup of coffee or tea? If you lived in Cambodia, you probably just spent your entire daily income on that beverage. 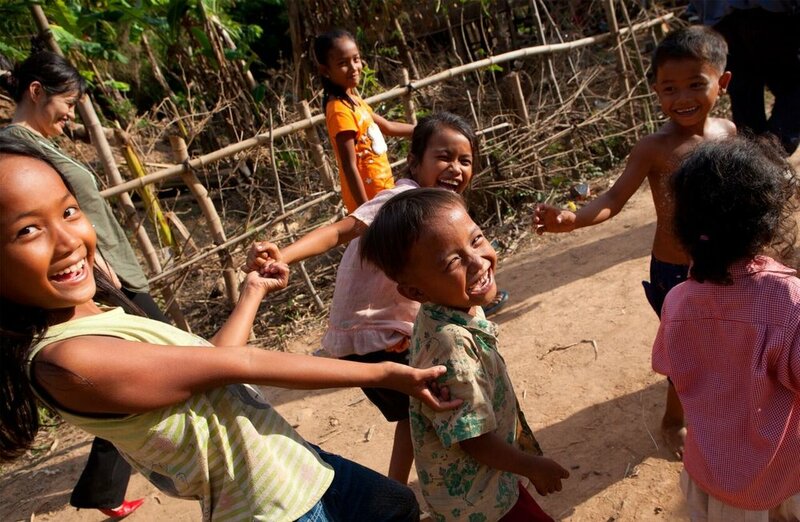 According to ECPACT (End Child Prostitution in Asian Tourism), more than 70% of Cambodians live on less than $3 a day. Poverty is one of the factors that make individuals vulnerable to human trafficking, which is a serious problem in this Asian country. Women are particularly endangered due to gender inequality and lack of education. Dressember brand partner Malia Designs is working to change that by providing economic opportunities for both women and those with physical challenges. “Our tagline is ‘We are designed to carry a cause’, and I think that sums up our mission well,” says Lucia Ruth, Brand Director with Malia Designs. Founded in 2005 by Lia Valerio, Malia Designs was created to help the disadvantaged of Cambodia and to support efforts to end human trafficking in Southeast Asia. 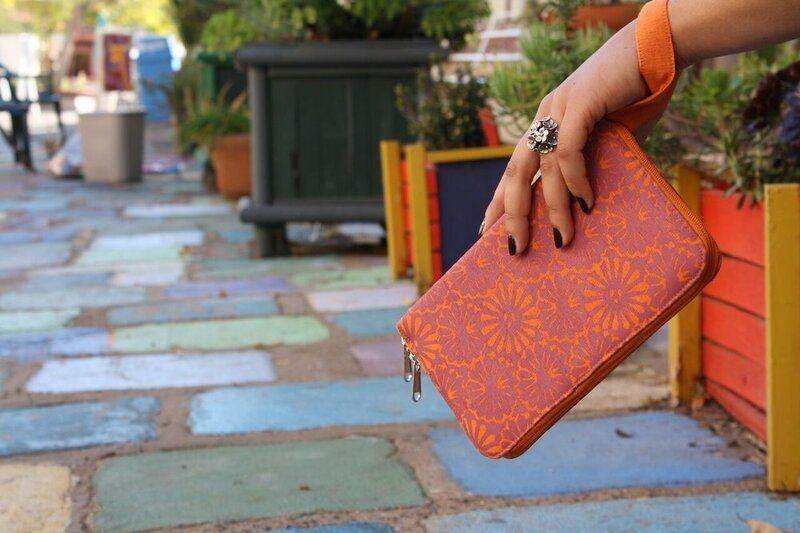 The company uses designs that are inspired by Cambodia’s people and culture and incorporates them in bags, wallets and accessories that will have Western appeal. 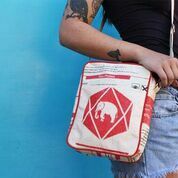 The company uses designs that are inspired by Cambodia’s people and culture and incorporates them in bags, wallets and accessories that will have Western appeal. 1. 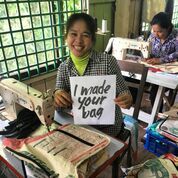 Malia Designs’ products are made by fair trade producer groups that employ disadvantaged people in Cambodia – primarily at-risk women and the disabled. 2. We offer high-quality, fashion-forward accessories that pair lively designs with contemporary styling using materials sourced locally in Cambodia. Our fair trade production and frequent use of recycled materials are also good for the planet. 3. Malia Designs extends its mission even further by donating to nonprofit organizations fighting human trafficking in Cambodia and in the US. The company works with three Cambodian women-led artisan groups that provide sustainable employment for over 300 at-risk individuals. Each group plays a different role in design and production. 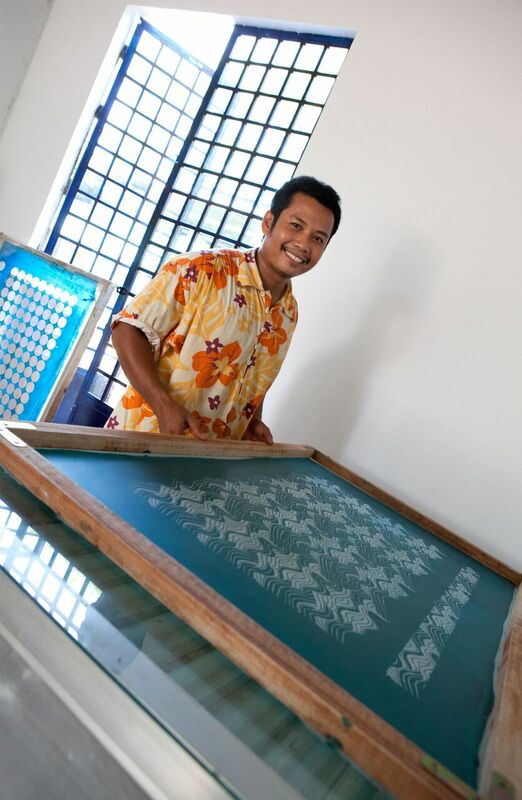 Because sustainability is very important to Malia Designs, all materials are sourced locally in Cambodia. Cement bags, feed bags and remnants from the garment district are all readily available and are used to make fashion-forward items that would appeal to customers regardless of their provenance. 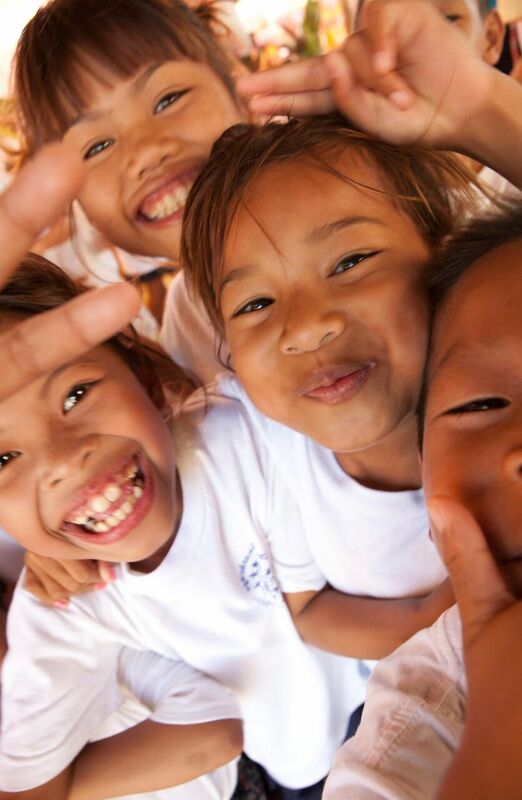 In addition to empowering the marginalized, Malia Designs provides financial support to Damnok Toek, an organization in Cambodia devoted to preventing child trafficking and providing aid to young trafficking survivors. It also donates to anti-trafficking organizations in Chicago and San Diego, where the company has a physical presence. Lucia wants customers to know that they are a big part of that impact. Working for Malia Designs has changed Lucia’s life, as well. “I’m so fortunate to be able to do this as my work. I get to use my creative skills for something that’s bigger than me. That’s a pretty big gift,” she says. Fashion is fun, but businesses like Malia Designs make it meaningful, as well. Why not take a look at Dressember brand partners the next time you’re shopping for a gift, or just in need of some retail therapy. Purchasing from Malia Designs and others with values similar to them is an easy way to make a real difference.